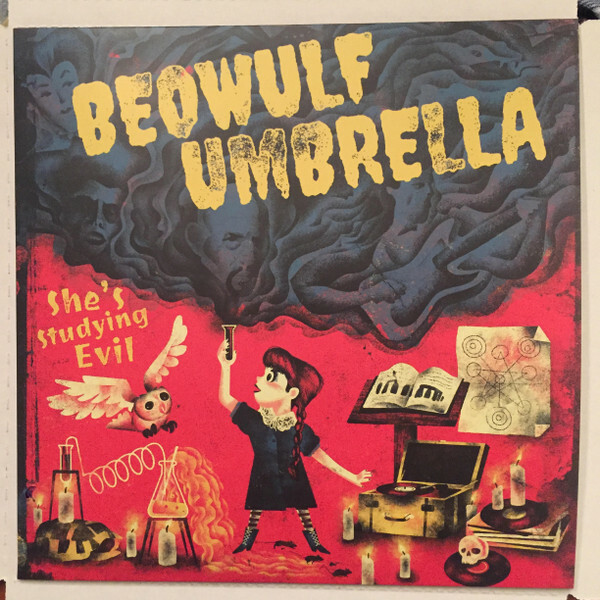 Recorded over three days in August 2018, and released March 15, 2019, Beowulf Umbrella’s She’s Studying Evil is the work of Tommy Keene band alumni Brad Quinn and John Richardson, along with session musicians on call at Richardson’s Drum Farm Studios in Menomonie, Wisconsin. Although a studio project in essence, Quinn performs under the Beowulf Umbrella name in Japan, where he lives, in both solo and in group configurations. The Dadaesque name of the group comes from an unpublished short story by Richard Brautigan. The EP includes performances by bassist and keyboardist Kevin Dailey, guitarist Adam Ollendorff, plus guest appearances by Mike Schlenker (lead guitar on “She’s Studying Evil”) and Paul Chastain (“Just Say the Word”).